FLOSAL is liquid fertilizer– growth stimulator intended for supplemental feeding. FLOSAL contains microorganism, growth stimulators that produce pleasant scent auxins during the fermentation processes. 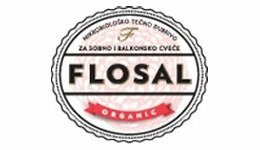 Flosal is applied foliarly in the original package, spraying over leafs during the vegetation period (from early spring to late autumn) once in 7 days, and once in 15-20 days during wintertime.